There are some very surprising benefits of eating Avocado seeds. The part of the fruit that most of us throw away should be kept and consumed according to nutritionists. 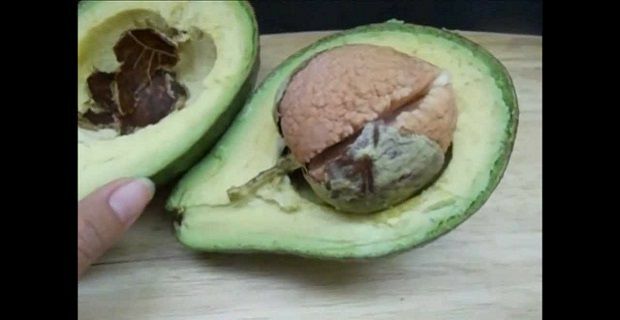 Doctors also claim that Avocado seeds help heart disease patients so this is advice you would do best not to avoid. Around 70% of the fruit’s total antioxidant capacity comes from its seeds so most of us throw away the majority of the fruit’s best stuff when the seeds are dropped into the bin. This lowers high cholesterol, has a benefit to those with high blood pressure, reduces inflammatory conditions, helps diabetes suffers, and it boosts everyone’s immunity. Inflammation is what causes chronic diseases like arthritis, stroke and heart disease. There are links being made to it and cancer too. The Avocado’s seeds and skin contain high levels of antioxidants like catechins, which is also found in green tea, and procyandins that act as anti-inflammatories. These reduce swelling and stiffness while also improving heart health and circulation. If you have a problem with your digestive system, eating Avocado seeds can help. This is part of your body that’s essential for good overall health as much of your immunity comes from the bacteria that lives within the digestive tract. If they’re living in a healthy environment, they’ll combat pathogenic bacteria and viruses for more effectively. Research has also shown that eating Avocado seeds can reduce food cravings. The high levels of fibre found within them keeps you fuller for longer so your hunger will be reduced. They also help control your blood sugar levels, and when your overall blood glucose levels are consistent through the day you’re less likely to give into cravings.